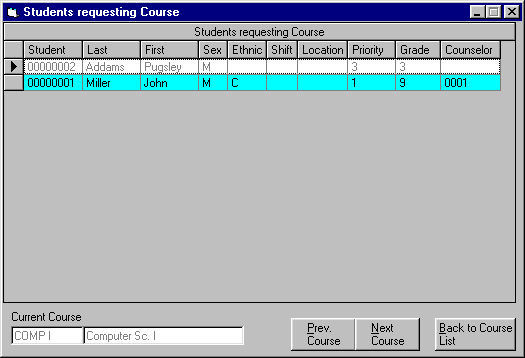 This is the Students requesting Courses screen of Solstar 2001. For a description of the buttons please scroll down. : You browse to the previous course. : You browse to the next course. : Closes the window and returns to the Courses screen.